Winter is slowly but surely settling in, so we would like to help remind everyone to stay safe and share some good winter hiking tips for everyone to follow. This time of year can be quite dangerous to hike in, especially if you are doing backcountry hiking. With snowfall and dropping temperatures, hypothermia and potentially even death are occurrences when safety is not practiced. 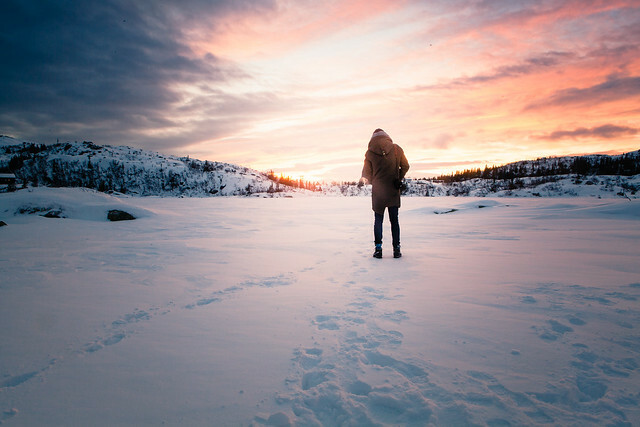 Here are a few tips you can follow to make sure that your winter hiking experience is the best and most safe! It is always a good idea, especially when backpacking through backcountry to go out with one or more persons. Going alone can be fine, as long as you alert people of where you are going and your agenda. Although it is best to go out with a group of two or more, just in case of injury or other life threatening things, the other person can get help or assist in first aid. Selecting the right clothing for hiking in the cold is of the utmost importance. making sure that you are wearing the right amount of layers that are also easy to remove and carry for if you get too hot can be tricky. Make sure that you have the right kind of snowshoes, a trekking pole, and for some more extreme environments consider crampons. It might be wise to make the trip a little shorter. Snowshoeing can be extremely exhausting, and requires a lot of energy and strength. Shorten the hikes and take appropriate breaks as you hike. Sustenance is so crucial when hiking in extreme conditions, especially colder conditions. Getting dehydrated can speed up the hypothermia process, so make sure you are drinking plenty of water. Just because it is not scorching hot out does not mean that you cannot get dehydrated. take food and snacks high in protein, you’d be surprised how many calories a winter hike can burn. Check the weather and bring emergency supplies. The more you know about what is going on in the environment around you, the better. Emergency supplies like first aid kits and etc. can potentially save you in a life threatening situation. So always be prepared. Hopefully these tips will help you plan better for your next winter hiking trip and remind you to stay of the safe side! Remember, before anything your safety is most important, so plan accordingly.